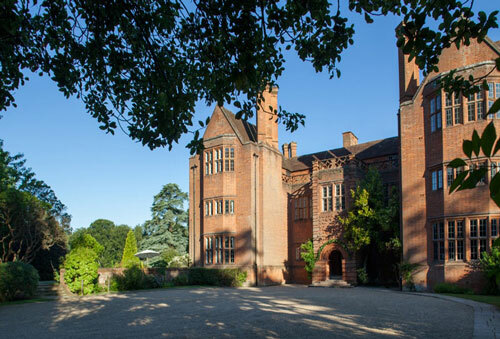 Located in 32 acres of exquisite parkland, New Place effortlessly combines a Grade 1 listed manor house with a modern conference centre. From the impressive manor house with its Tudor and Elizabethan touches to the delightful mews quarter, New Place offers an extensive range of accommodation, a gym, a swimming pool, a cricket pitch and croquet lawn along with modern dining, bar and free Wi-Fi throughout. 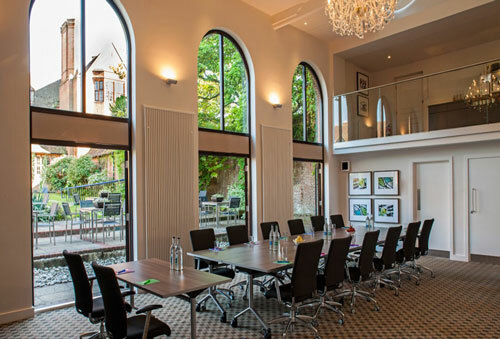 Offering over 33 contemporary event suites, state-of-the-art audio-visual equipment, free Wi-Fi and a dedicated in-house events team, the hotel is ideal for meetings, training, conferences and events. We’re fanatical about food at New Place. That’s why our Chefs serve up consistently high quality food in our restaurant, bar or delivered straight to your room. With a gorgeous selection of function rooms, New Place is the perfect venue for your special event. Whether it be a special occasion, wedding or corporate function, our team will ensure a memorable night. Additional services: Free speedy Wi-Fi – Welcoming restaurant – Bar – Internet Cafe – Energy Stations – The latest AV technology – Team Building – Swimming Pool – Mini Gym – Cricket Pitch – Croquet Lawn -Bedrooms.